What are the main types of spanner? Spanners and socket sets are essential to any tool kit. Often made of chrome vanadium, tools like open-ended spanners, socket wrenches and ratchet spanners all come in different sizes while adjustable spanners offer a range of sizes in one tool. Read on to find the right tool type for your nuts or bolts! Shop our spanners, wrenches and ratchets! 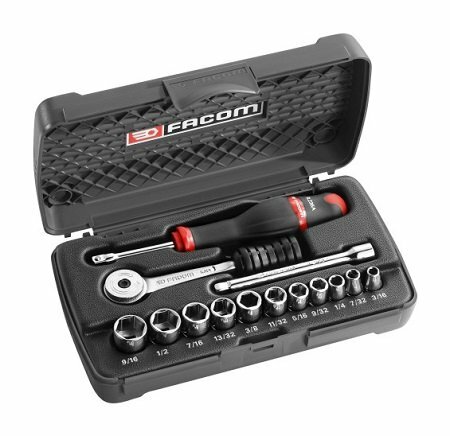 An open-ended spanner set, a set of box spanners and a mid-range socket wrench should cover your everyday needs. Go for pass-through options for greater convenience and don’t be tempted by cheaper ranges: the size specifications are rarely accurate and you could end up damaging the nut or bolt you're working on. For occasional use, a socket set teamed with an adjustable spanner should be sufficient for most standard tasks. 23 mm+ fasteners are used for heavy-duty mechanical work (industrial, agricultural or heavy goods vehicles). You can buy spanners as and when you need them. 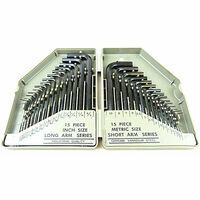 Nonetheless, spanner sets offer much better value for money than tools sold individually. If you find yourself using a certain type of spanner more regularly, you should invest in a high-quality model or consider looking for one with a lifetime guarantee. Open-ended spanners feature one or two U-shaped profiles and come in different sizes. 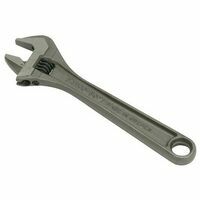 They are ideal for passing over nuts on threaded rods that may be difficult to access with other spanner types. These spanners often come in sets containing different sizes and these are essential in plumbing and car mechanics. Unlike open-ended spanners, ring spanners apply force to all six sides of the fastener. In high-end ranges, they may also be equipped with a ratcheting mechanism making them faster and more convenient to use. Ring spanners offer additional grip meaning they won’t slip off nut or bolts when loosening. Combination spanners feature an open-ended profile on one end and a ring profile on the other. The open end can be used to start the fastener while the other end is used to tighten it. Adjustable spanners are shaped like open-ended spanners with the addition of a moveable jaw. This jaw is equipped with a worm screw that is used to adjust to different fastener sizes. Adjustable spanners are very handy for working on a range of nut and bolt sizes – including more unusual varieties – without having to change tool, but they tend to be heavy and a little awkward to use. The moveable jaw also limits the gripping power of these spanners and they are not very practical for tightening smaller bolts. Socket wrenches fit over the nut or bolt head they are working on. 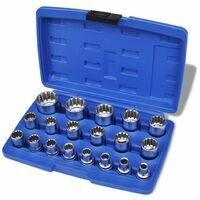 The socket heads are usually detachable and can be fitted onto a socket wrench (ordinary or ratchet) or onto a screwdriver. They also come in different lengths from short to long (up to approx. 50 mm). L-shaped socket wrenches fit over fasteners just as well as socket wrenches, but their heads are at a right angle to the handle. They also feature a longer handle for better leverage. 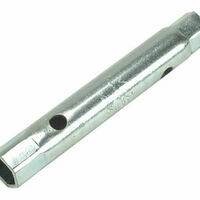 Pass-through socket wrenches provide an opening in the socket head for passing over longer threaded bolts. If you have the choice, go for pass-through models; they work just as well as other types and you never know when you might need the option. Like pass-through sockets, box spanners can be used over very long threaded rods. They can be straight or angled and the most commonly used variation is the spark plug wrench. Straight box spanners feature several holes allowing you to attach a T-bar for increased torque and can also be fitted with a screwdriver handle (though it’s best to check the depth of the socket for this option). Allen keys, or hex keys, feature a hexagonal cross-section and are usually used for assembling furniture or in mechanics. The L shape of these tools gives you access to recessed or hidden screws and allows for tighter fastening. Allen keys usually come in sizes 4 to 10mm across flats (meaning the distance between two opposing flat sides of the fastener head). While they may look like Allen keys, torx keys feature a star-shaped tip like torx screwdrivers. These tools are usually used for small household appliances – although star-shaped screw heads are becoming increasingly common on various types of devices. Torx keys come in sizes T10 to T50. Ring spanners and socket wrenches grip all six sides of nuts and bolts and, as such, spread the pressure around the whole fastener head. This means the tool and the fastener are less likely to wear down. Six-point spanners are generally used to apply more tightening power to the nut or bolt without causing any damage while twelve-point spanners allow you to reposition the tool more quickly. Some double-ended socket wrenches feature both profiles. Ratchet mechanisms are found on certain types of ring spanners and socket wrenches. They are great for saving time and they can tighten or loosen a nut or bolt without having to disconnect the tool from the fastener. This is because the ratchet only engages the fastener in one direction; moving the ratchet in the opposite direction only allows you to reposition the handle. Unless specified by the manufacturer, these tools cannot be used with too much force or you run the risk of damaging the ratchet. It has been said time and time again, but please remember that you cannot use brute force or a hammer to loosen a bolt held by a ratchet. Professional quality tools may stand up to the force but using the right box spanner will always work better. Used alone, a socket wrench may not allow you to work on hard-to-reach bolts but there are accessories, such as extension bars, to help you out. Socket wrenches are made up of an interchangeable socket head that is attached to the tool via a square-shaped socket drive and held in place by a small spring-loaded ball. Drive fittings are measured in inches, the most commonly used being 1/4 ", 3/8" or 1/2 ". You can also find 3/4 "or even 1" socket drives for agricultural or industrial use. It goes without saying that you will not get very far without sockets. These generally come in sizes ranging from 8 to 22 mm for standard use. The size of the drive socket will usually change with the size of the socket head. Socket extension bars allow you to reach fasteners in a confined spaces by avoiding any obstacles that would prevent you from turning a spanner handle. Universal joints allow you to access fasteners at different angles where a handle would not have the clearance to move back and forth. Drive adapters are used to fix socket heads with smaller drive sizes to tools with larger drive sizes, and vice-versa (for example 3/8” to 1/2"). 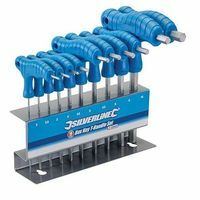 They are very handy for mixing different socket sets. Hex shank adapters are used to fix any screwdriver bit with a hex shank directly to a socket wrench or any of the above accessories. Open-ended spanners cannot be equipped with a traditional ratchet mechanism. However, there are now open-ended spanners with modified profiles that can be used in two positions to mimic a ratchet. At the open end, the profile can alternate between turning the fastener and turning around it. Once the job is almost complete, you just have to put the nut or bolt in contact with the inner part of the spanner profile to tighten it completely. 1 x metal tool box. Torque wrenches are used to a specific amount of torque, or rotational force, to nuts or bolts. If a fastener is not tight enough, there can be serious consequences; for example, consider the kind of precise tightening required by the cylinder head bolts in your engine. On the other hand, if a fastener is too tight you run the risk of stripping the thread or rounding off the head. Often used in mechanics, torque wrenches are easy to use. Simply fit the right-sized socket to the wrench, adjust the torque to the required set point (given in Newtons per metre) and tighten your fastener. These tools are mainly used in precision mechanics. Spanners and fasteners may have to withstand considerable pressure. If you find yourself applying a lot of force, you might want to consider buying tools made of hard metal (carbide), the hardness of which ranges from 42 to 50 HRC on the Rockwell scale. You should also refer to the manufacturing standards marked on the tool (DIN, ISO, DIN ISO or BSI ISO) as these define a determined level of quality. Bear in mind that the mention of chromium-vanadium steel is not necessarily a guarantee of quality. The manufacturing quality is also reflected in the shape and the precision of the profile that grips the fastener. A well-fitted profile and optimised designs (e.g. 6-point sockets) are able to transmit maximum force while preventing damage to the fastener. Remember that the best suppliers usually offer lifetime warranties for replacement or repair. Since I was a child, I was always interested in manual and technical works. Always fascinated by woodworking, I took advantage of my first flat as a playground. On the cards: electricity (of course, safety first!) and some partition walls; but also decorating with the help of the missus, made-to-measure furniture and little tricks to optimise the space, all the while remaining as original as possible. When the little one arrived, I started building bits and pieces for him! Lacking space, I have not got a permanent workshop and certain tools I dream about but are not part of my collection. 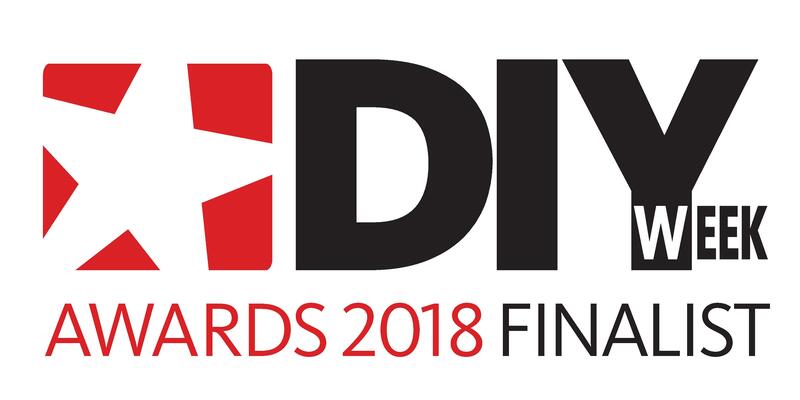 Not to worry, I already know a lot about DIY and I have a high-tech profile that I hope will guide you in your decisions!